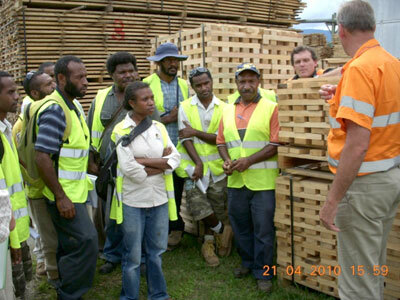 This international collaborative project, funded by Australian Centre for International Agricultural Research (ACIAR), develops a framework for education, research and technology development and for capacity building in wood science and processing technologies in Papua New Guinea. The project is led by the University of Melbourne and involves PNG institutions representing education, research, training, government and industry. The project provides significant benefits through strengthening cooperation and collaboration between Australian and PNG partner organisations and between the collaborating institutions in PNG. The partners involved in the project have formed a cohesive network with a strong culture of collaborative work during research activities, training and technology transfer. Training provided to PNG participants.